You know the old saying “location is everything”? Well, here’s a story that proves there’s truth in the statement. Gretna Green, Scotland, became a popular destination purely because of where it is on a map. In the mid 1700’s, English law was updated and as a result, laws around marriage were tightened. The new laws stipulated that couples had to be 21 in order to marry without their parents’ consent. It also dictated that the wedding had to take place in a church. Across the border, however, Scottish law was much more relaxed: you could literally get married on the spot by a simple declaration. The only requirements were two witnesses and an assurance from the couple that they were free to marry. That’s it. Soon, thousands of couples flocked across the border, Gretna Green being the first village on the main route from London to Scotland. Since an angry father was often in pursuit of the runaway couple, the couple had no choice but to quickly marry at Gretna Green… the blacksmith shop was the first physical building where the couple could hide in and elope. Although the laws aren’t quite as strict today, many couples select Gretna Green as their elopement destination. You can still get married in the famous blacksmith shop: a true piece of wedding history. 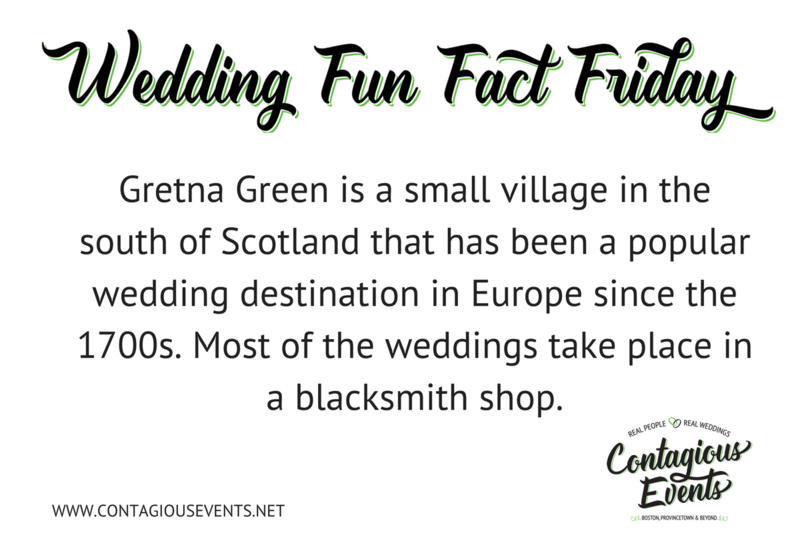 Learn more about Gretna Green here.